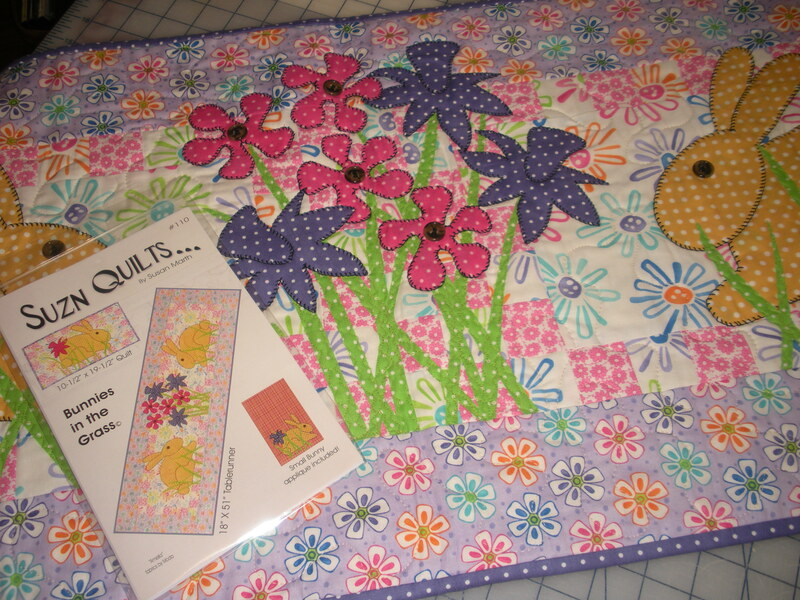 November | 2011 | Quilting my way through life! 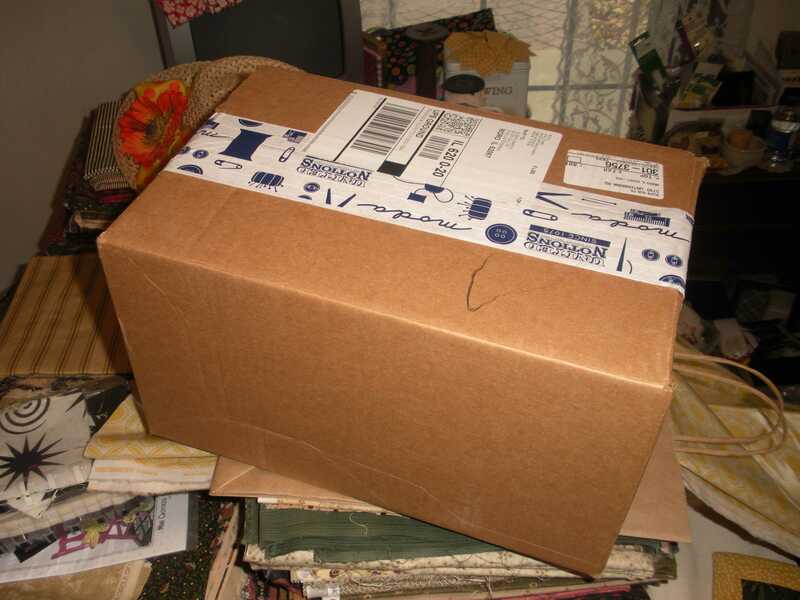 Yes, I knew what was in the box, but it’s just not the same seeing the fabrics on Moda’s website as it is seeing them in person sitting on my counter!!! Can’t wait to show you my newly painted fabric cages, but for now it’s off to bake my Thanksgiving Day goodies. I have to say one of my least favorite things to do while sewing is un-stitching, you know, making a mistake then having to make it right. It’s not that I want to appear perfect by any means. It’s one of those waste of time things. I learned a way to speed up the process and I want to share it with you. 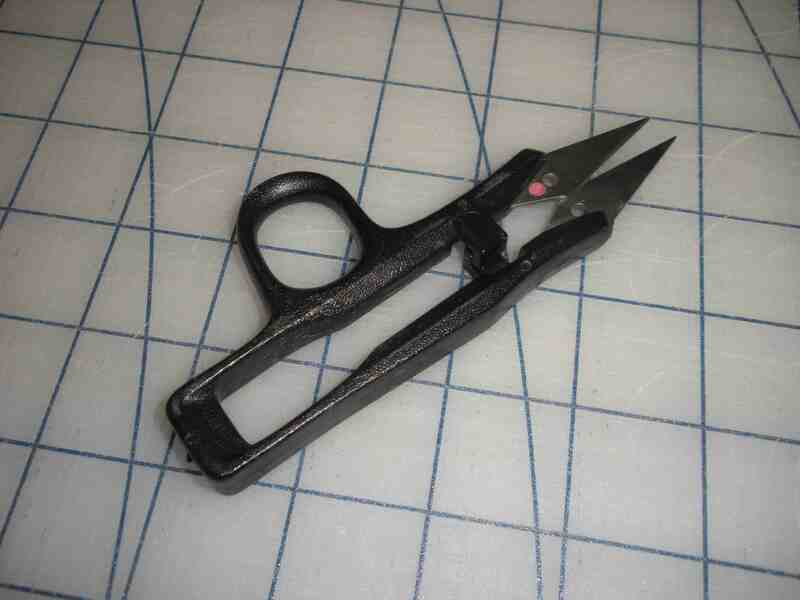 First I want to show you that I use little pointed scissors that I use. 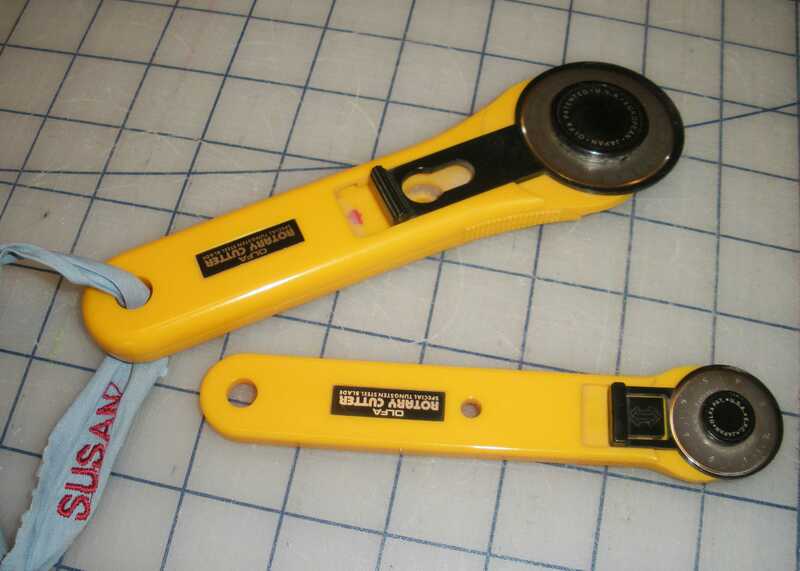 Instead of a seam ripper I use these and snip every 4 stitch or so. You can then pull the two pieces of fabric apart and this is what you’re left with. If the seam was of any length, you’re left with a bunch of little threads that annoying to remove, say you sewed on your entire binding and realized you used the wrong needle position (sound familiar to anyone???). and press it onto those pesky little pieces of thread. Pull tape off and viola! 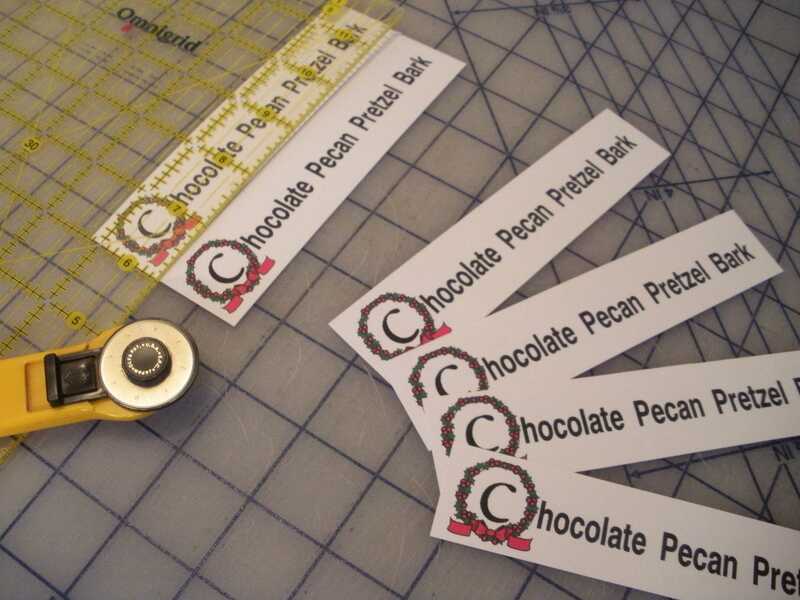 The pesky little threads are on the tape and no longer on your fabric. 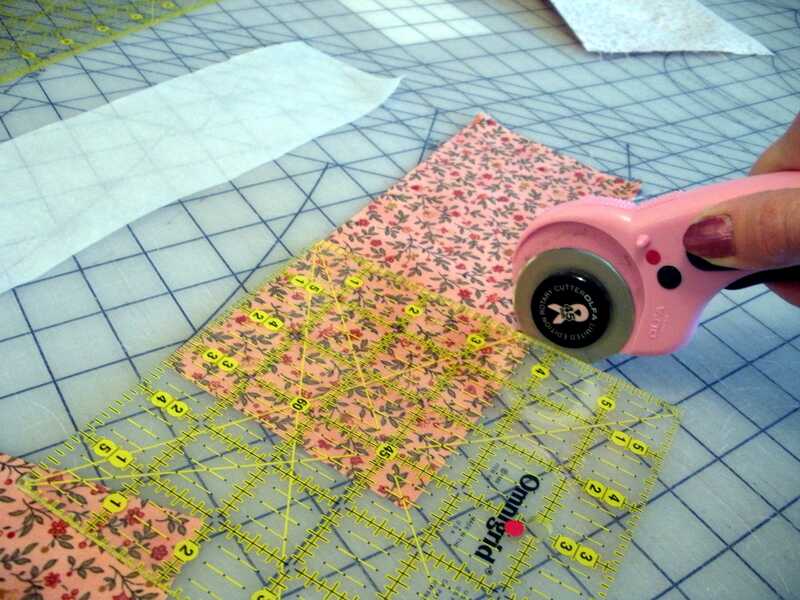 I keep masking tape in my sewing room anyway for basting my quilt sandwich, so it’s always handy. 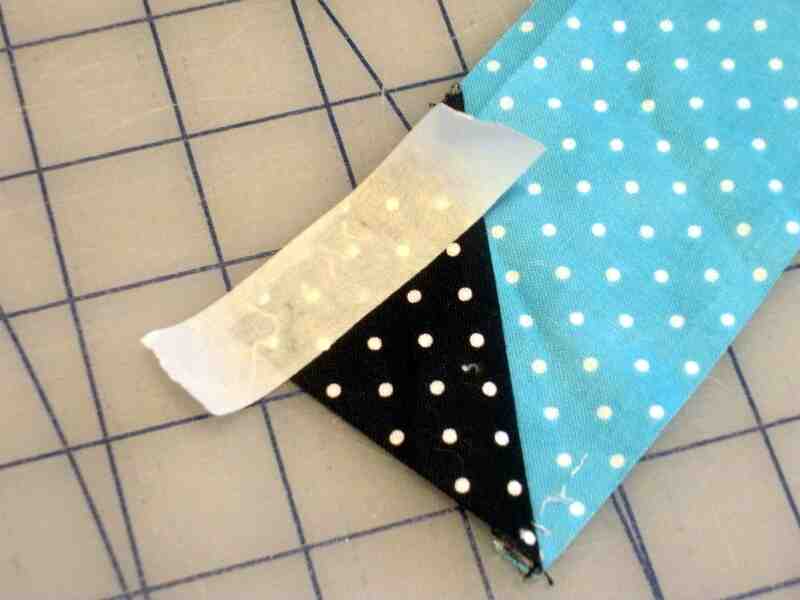 I hope you don’t need this tip any time soon, but if you do this will make your sewing life a little bit easier. 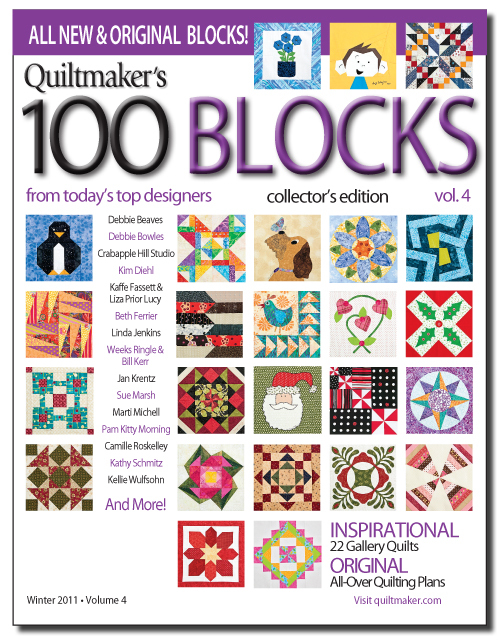 …and my day to blog about the new 100 Blocks Volume 4. How strange is that, my favorite number is #13!!! Notice the signature on the block? It’s one of the requirements when sending in the block. 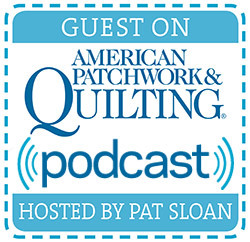 Run right over to Quiltmaker’s blog and register to win original blocks! Not only that, they’re offering lots of free stuff all week on the blog hop. Now that you’ve met my Olde St. Nick, take a look at him (and his twin) on a fast & fun table runner that is also included in this issue on page 90.
my machine’s button hole stitch with Sulky’s 12 wt. thread! It makes my applique “pop”! 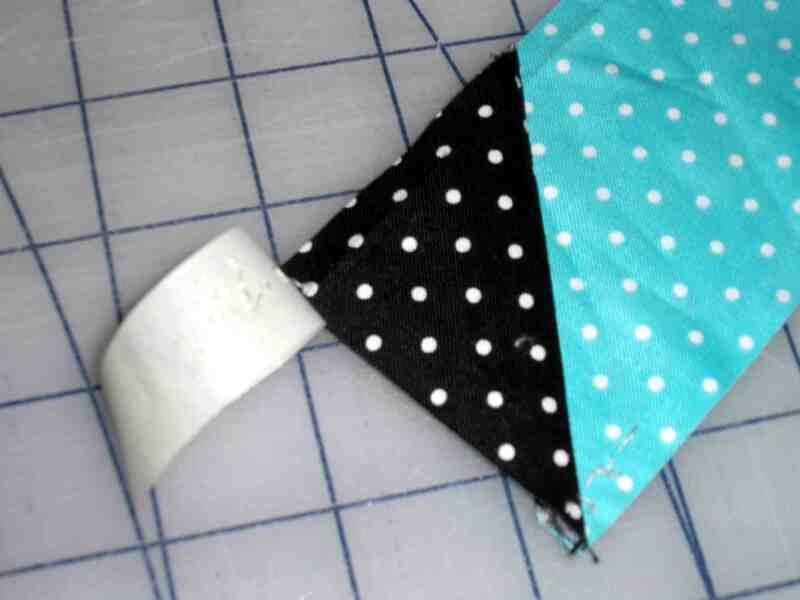 Sew the red 2-1/2″ squares into 6 rows of 10 squares each. 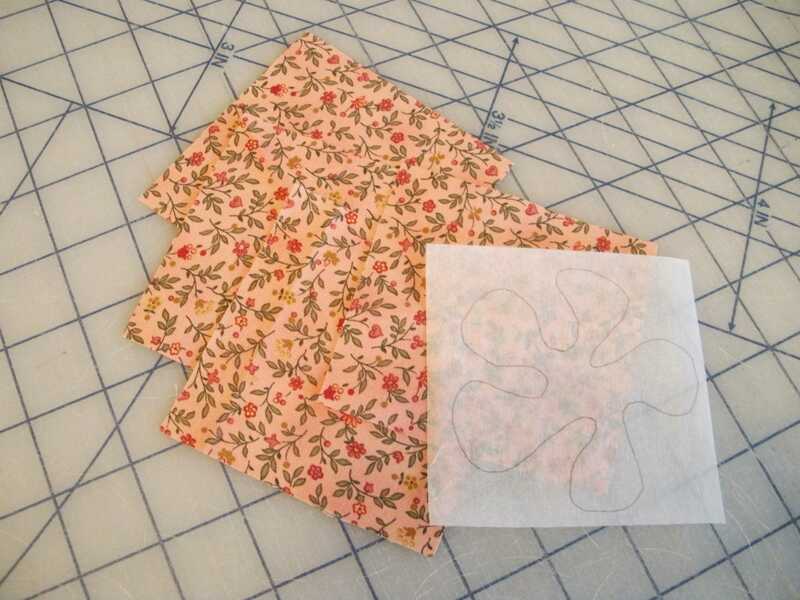 Sew the rows together to make a 12-1/2″ x 20-1/2″ rectangle. 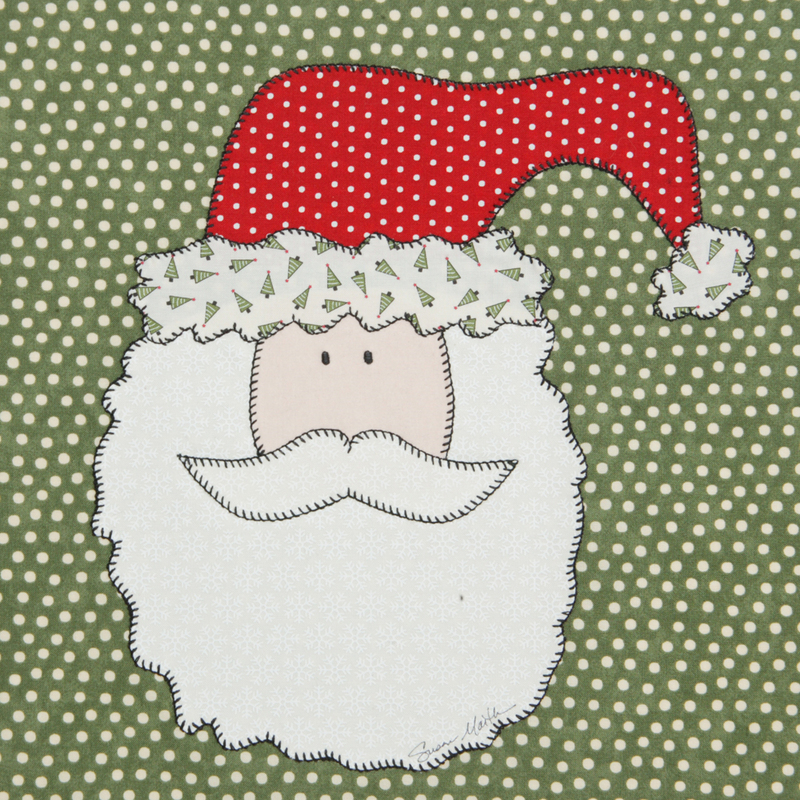 Sew an Olde St. Nick block onto each 12-1/2″ end. 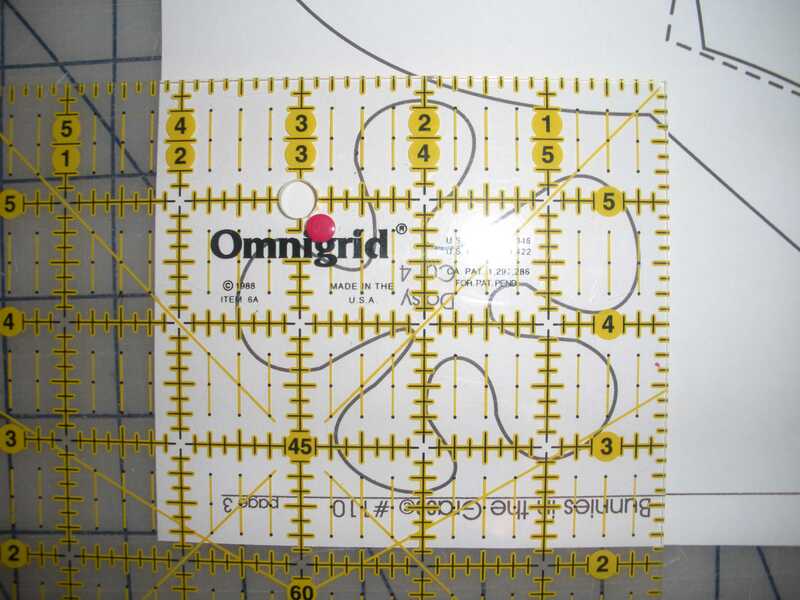 Cut 10″ red square in half diagonally. 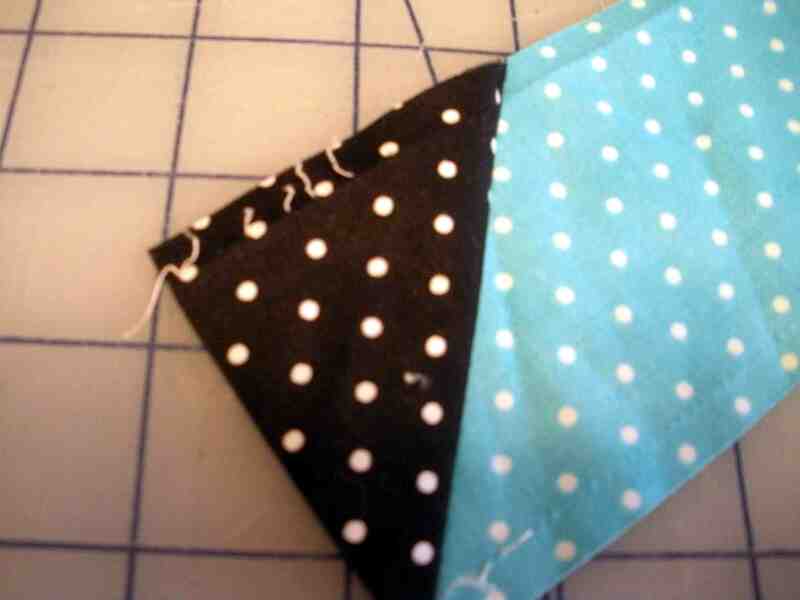 Sew a triangle onto bottom of each Olde St. Nick block as shown in photo above. Trim excess from triangles. 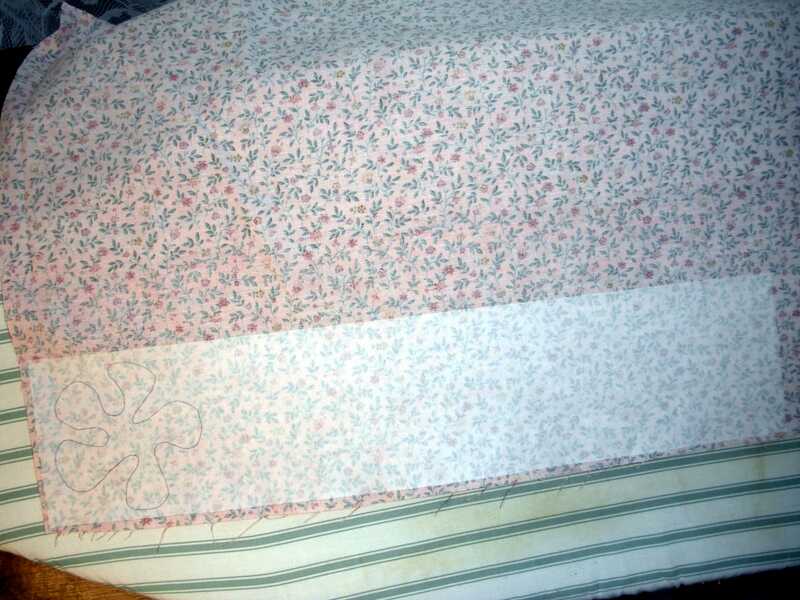 Quilt as desired, bind and enjoy! I hope you enjoy the issue as much as I enjoy being part of it. Now go UP, UP, UP to the TOP of my blog and leave a comment telling me your favorite season to sew for. 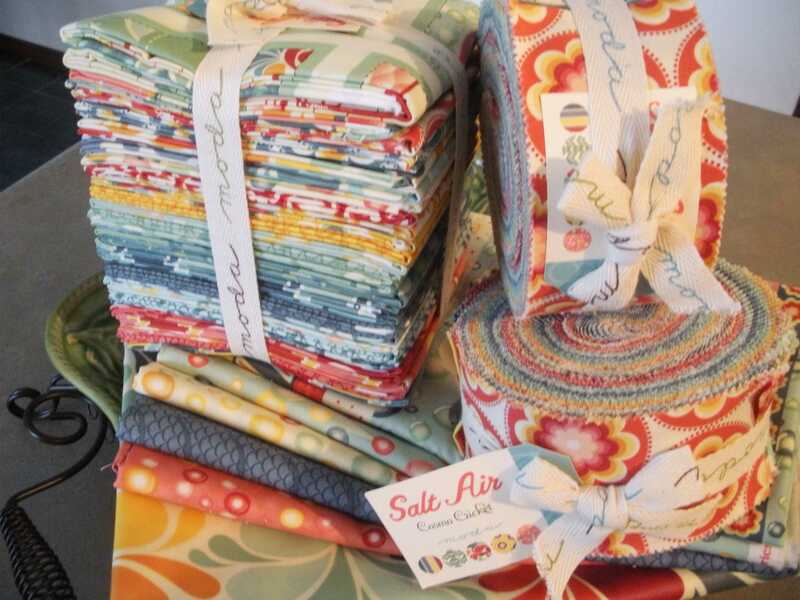 By doing this you’ll be entered to win the drawing for a FREE issue of Quiltmaker’s 100 blocks vol. 4. The blog hop lasts all week, and I will personally draw for my winner on Friday after midnight. Hot Tip Tuesday #25, reinstated, at least for now! It has indeed been a while since I posted a hot tip for Tuesday hasn’t it? It’s not that I don’t have any more hot tips, it’s just that I got busy with market, then I just plain had no time to think about it much less work at it, so my apologies and I hope you can appreciate this hot tip. When I have an applique piece that is used several times in a project and the pattern says to cut 4, I NEVER trace that piece 4 times then cut it out 4 times, no, no,no! I’m much too lazy for that! Look at the repeated flowers. 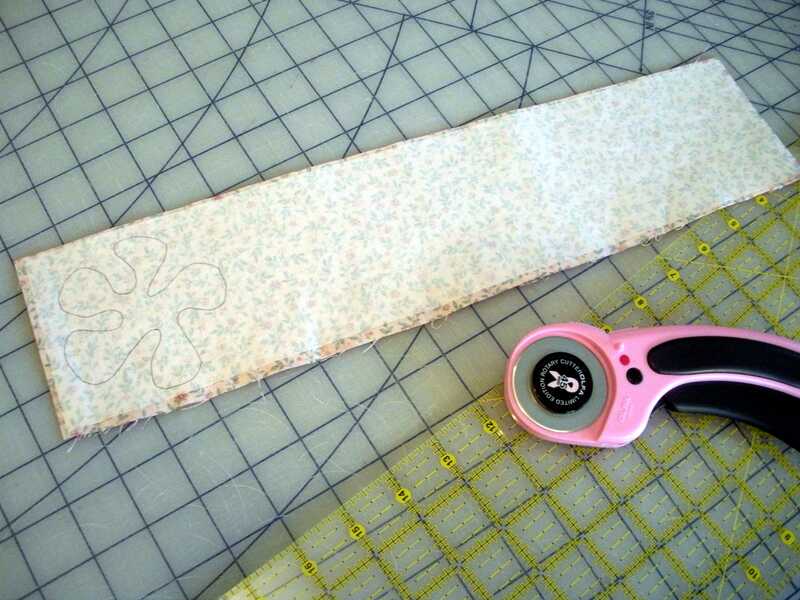 Also make sure you pin the pattern right side to your fabric so you don’t accidentally reverse it. With these flowers it will not matter, but with some designs it’s important. 4 pink flowers with cutting once! 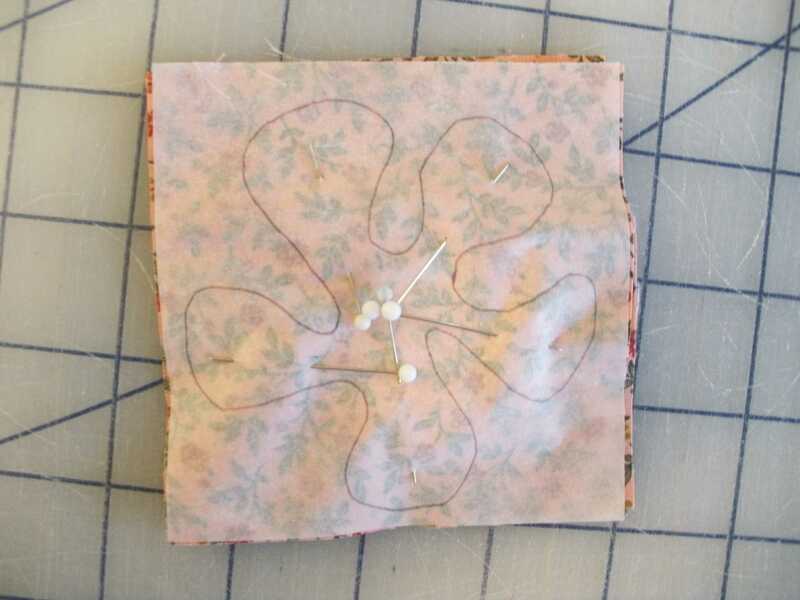 I can usually cut 4-6 applique pieces if the design isn’t too intricate. 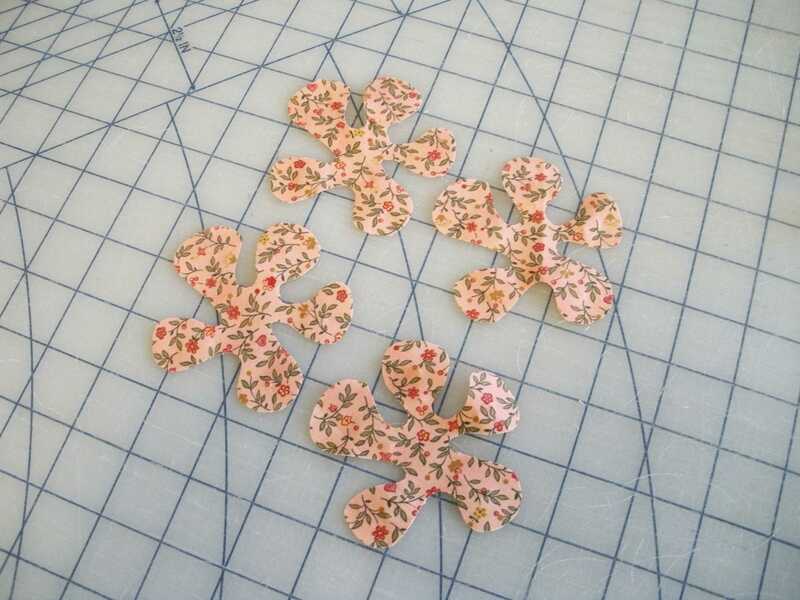 If I needed 8 of these same flowers I would have fused twice as much fabric, cut 4 more rectangles and cut out another flower (x4). 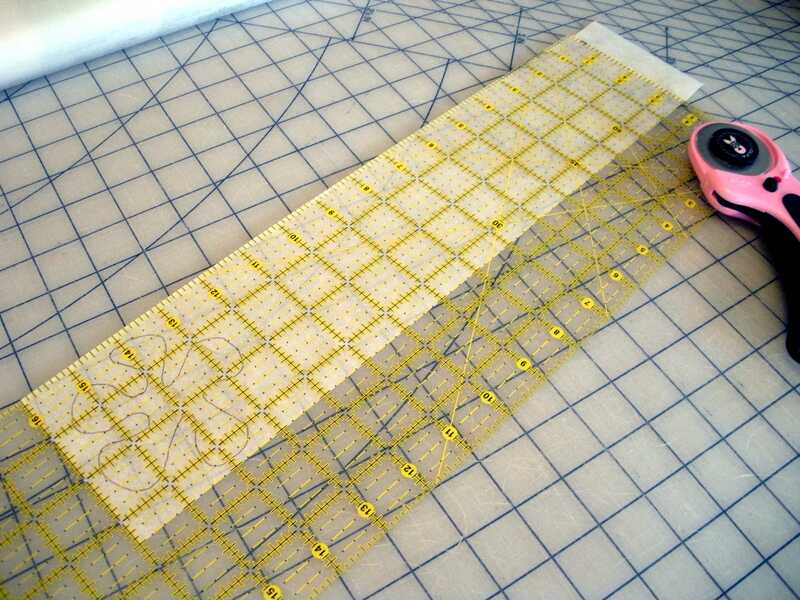 Even if each peice is not cut from the same fabric I use this technique. 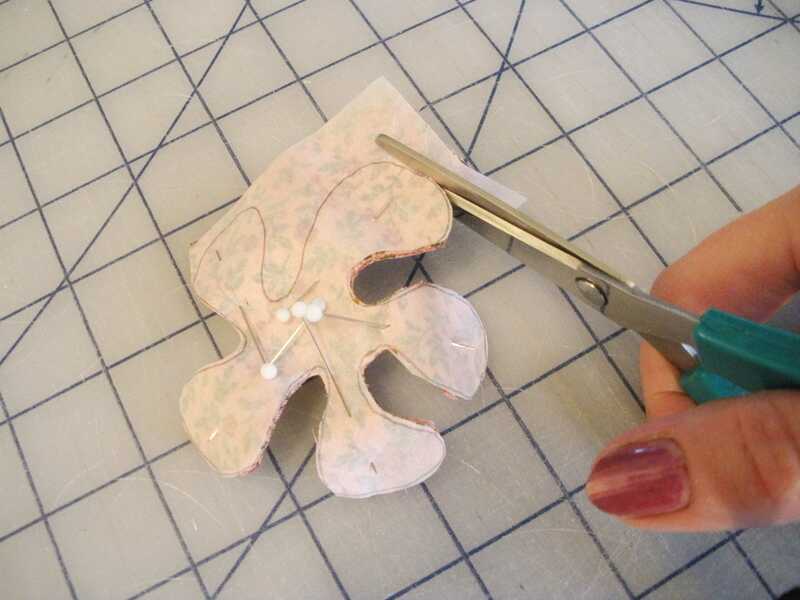 Trace once, cut once, have 4-6 applique shapes. 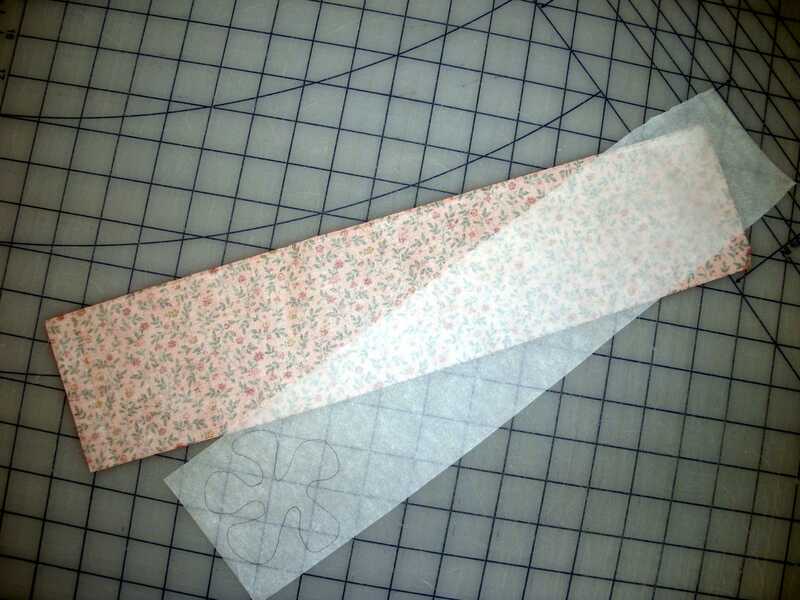 If you need a shape and the reverse of the shape, like the bunny on this pattern, layer fabric to fabric then cut out. 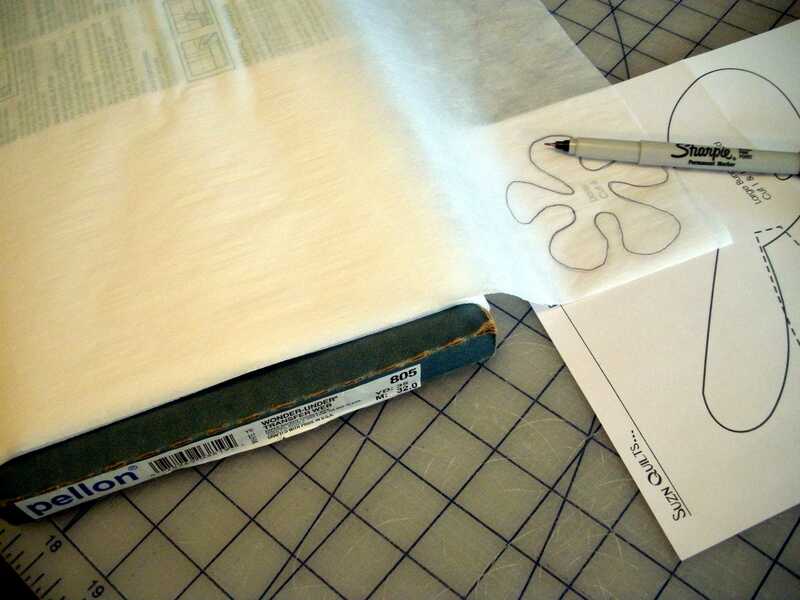 If you need 4 bunnies, do that twice since you can’t lay fusible web to fusible web. It’s still cutting your time in half! 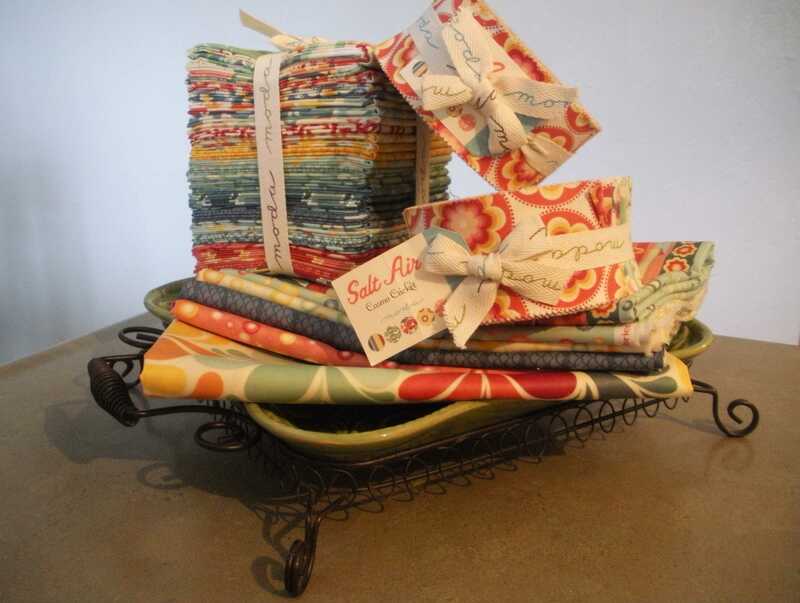 Now if you decide to make my table runner from the 100 Blocks magazine coming up next, you’ll have a way to cut your cutting time in half! 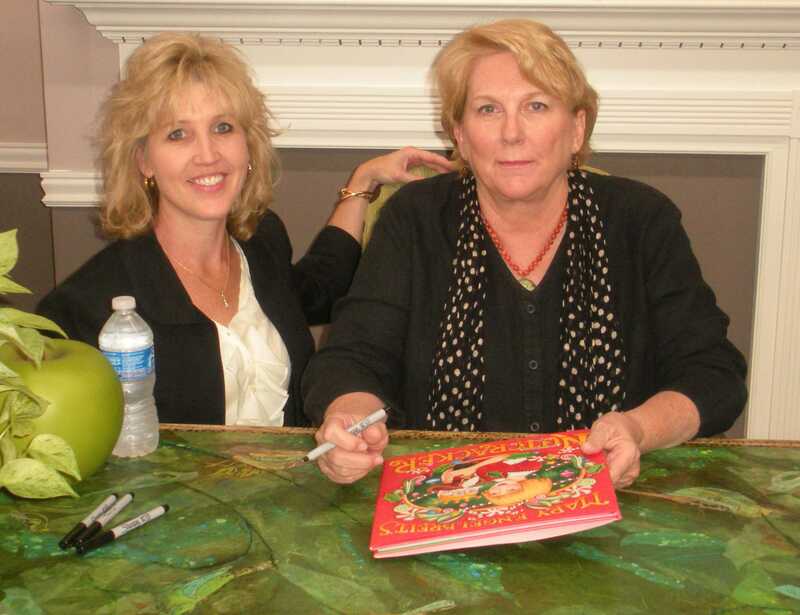 I met one of my all-time favorite artists, Mary Engelbreit! Mary has a new book that came out November 1st, “Mary Engelbreit’s Nutcracker”. 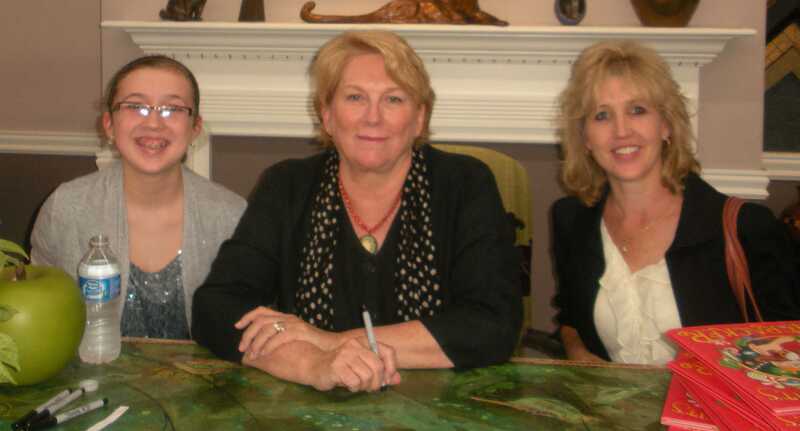 I noticed on Mary’s blog that she was going to have a book signing in Washington, MO (a mere 90 miles away) on Saturday. When the weather people promised a beautiful day for a drive, I invited my mom and daughter, Clare to go along. We took in a few antique shops, gift shops and the gallery where Mary’s book signing was to be held, Jane and David Arnold’s gallery, The Art Center. A lovely gallery with very nice owners who baked delicious chocolate chip cookies with hot chocolate too. I’m glad to have finally met Mary in person. Funny though how years of subscribing to her magazine that is sadly no longer being printed, plus owning several of her books, all gifts from my mom, sister and a friend, and of course reading her blog, I felt that I already knew her! She took time to listen to and chat with all of us there who appreciate her beautiful artwork that makes us smile. If you live in the St. Louis area, Mary will have another book signing at the County Library on November 19th.